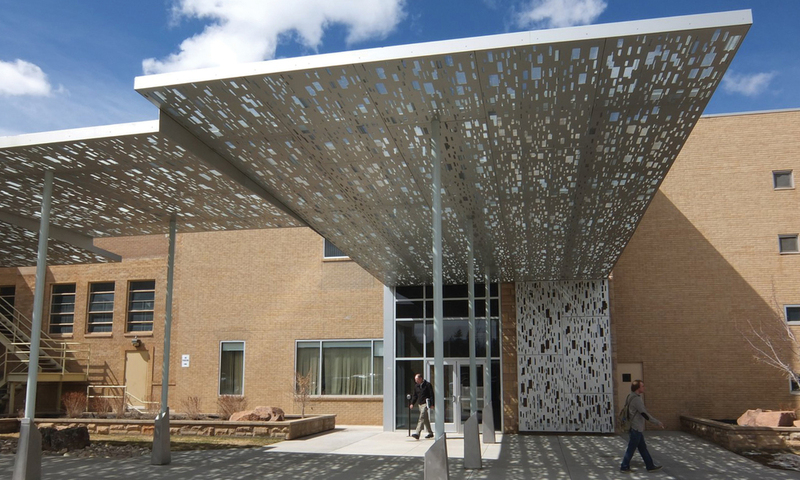 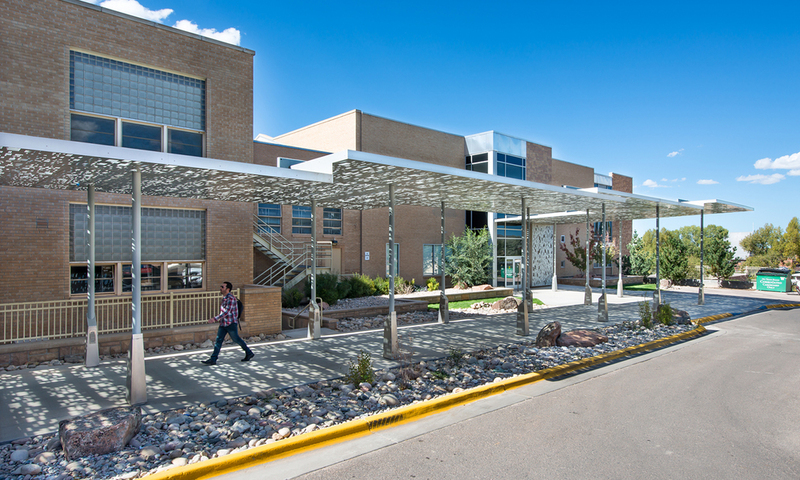 This canopy for the College of Education at the University of Wyoming provides a physical link between the central campus oval, the main Education Building and the more peripheral buildings of the Education Annex building, by extending a patterned ceiling within existing hallways and over an uncovered exterior walkway between the two buildings. 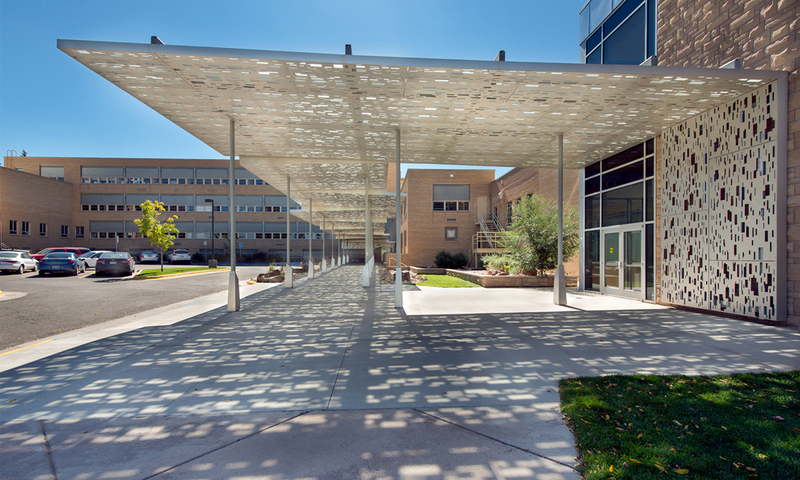 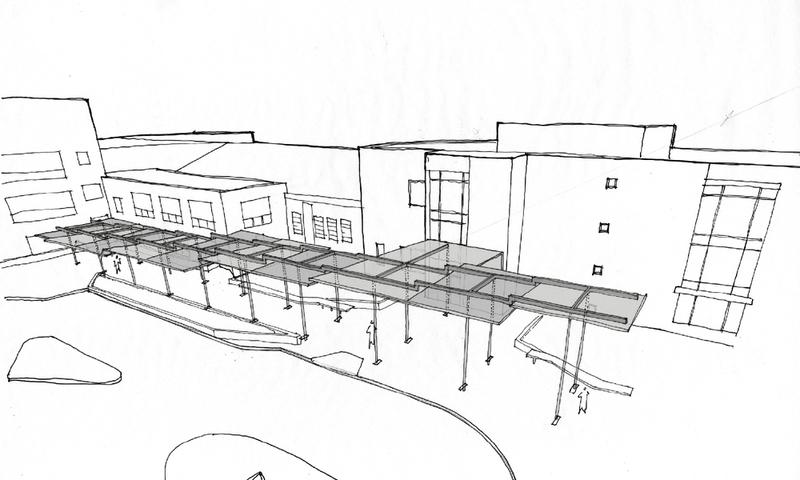 The exterior canopy’s 9 inclined bays pitch in alternating directions allowing it to negotiate the scale shift between the larger, more formal entry of the Education Annex and the secondary entry to the main building. 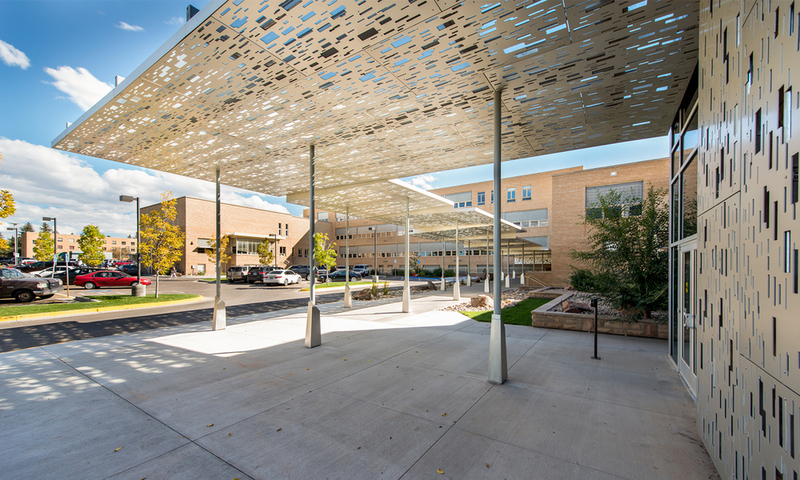 The water-jet cut aluminum ceiling panels continue the gradient of apertures used in LTL’s design for the Sullivan Family Student Center (located within the Education Annex), creating visual continuity along the main circulation corridor of the College of Education.